We've developed multi-layered protections to protect source, object, and executable files. 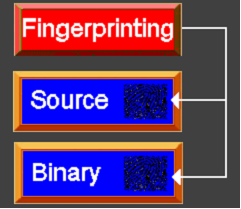 We've developed methods to "fingerprint" source, object, and executable files to establish a pedigree. This allows others to detect if, who, and when files were modified.